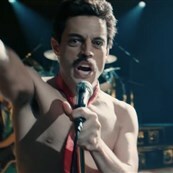 Our first look at Bohemian Rhapsody was mostly good for selling Rami Malek’s performance as Freddie Mercury. 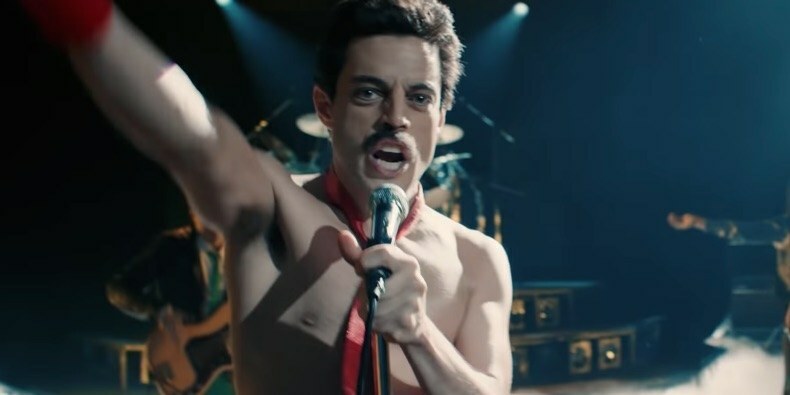 Now, a full trailer has been released which outlines the rise of Queen from bar shows to Live Aid, and does a fairly good job of selling the movie as a whole. No one on screen is anywhere near as interesting as Malek which, well, works for how Mercury dominates Queen, and they’re still relying most on the music to sell it, but it’s pretty effective. There’s just not much else like Queen. You hear those piano notes, the stomp-stomp-clap, or Freddie Mercury sing-screaming in octaves only bats and Mariah Carey can hear and you can’t help but get chills. It’s why their music has lasted so long. This trailer also attempts to deal more openly with Mercury’s private life, undoubtedly because of the criticism the teaser received for seemingly straight-washing Mercury. I’m not sure it’s really all that better, though. I saw a headline on Twitter that was like, “New trailer addresses Freddie Mercury’s AIDS diagnosis!” and then I watched the trailer and got one line: “What if I don’t have time?” Again, for the millionth time, trailers do not have to give everything away. But Freddie Mercury is one of the most famous victims of the AIDS epidemic and this dodging around it is just plain weird. Ditto for his private life. There is an acknowledgment in the trailer that Mercury didn’t discuss his private life with the press—which kind of feels like a rebuke to everyone on the internet going, Yeah but where are Freddie’s boyfriends?—but this trailer is still way heavier on Lucy Boynton as Mary Austin than it is on Aaron McCusker as Jim Hutton. Telling a story is an act of choice, it’s choosing, line by line and word by word, what the audience learns, and how, and whose story is told. Bohemian Rhapsody is telling the story of Queen and Freddie Mercury, but so far it seems like a very sanitized version. So we have to ask why Bohemian Rhapsody is tiptoeing around the reality of who Freddie Mercury was. Is it because they just want the movie to be a celebration? Okay, but that doesn’t preclude acknowledging he had relationships with men every bit as important as his relationship with Mary Austin. But we go back to choices, and the choice to put Mary Austin front and center in the marketing. That’s a choice worth interrogating. There is one choice in this trailer that I unabashedly love—the cats! Freddie Mercury LOVED cats—he dedicated his album Mr. Bad Guy to his cat, Jerry, and “all the cat lovers across the universe”—and the trailer does show a room full of cats. Here is one detail we don’t have to feel weird about.